The Egyptian pound has hit its highest level against the US dollar in two years, as the USD recorded EGP 17.32 for buying and EGP 17.44 for selling at the Central Bank of Egypt (CBE). On Sunday, the USD exchange rate fell by EGP 0.1 to EGP 0.4 against the EGP at Egypt’s national banks. The USD rate yesterday slipped by EGP 0.1 to EGP 17.34 for buying and EGP 17.44 for selling at Egypt’s two largest state-owned lenders; namely, the National Bank of Egypt (NBE) and Banque Misr, as well as at Credit Agricole – Egypt. Last Friday, former vice chairman of Banque Misr Sahar Al-Damaty told Mubasher that the USD was recently slashing against the EGP due to the improvement of Egypt’s credit rating, the increase Egypt’s tourism revenue and exports, along with the growth in the Suez Canal revenue. 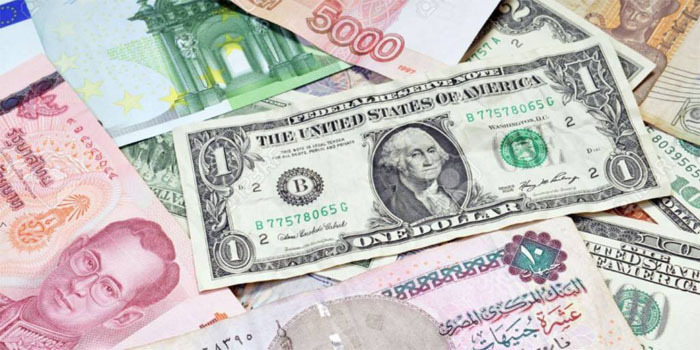 Al-Damaty also attributed the fall of the USD against the EGP to the 5.7% year-on-year increase in Egyptian remittances over the course of 2018. She also projected the USD to see further declines in the short term.